Cece is a 1985 graduate of SUNY Cortland where she received a Bachelor of Science in Physical Education. She received a MS in Education from Fordham University in 1993. Cece currently teaches Middle School Physical Education for Scarsdale Public Schools and is currently the Modified Field Hockey Coach at Scarsdale Middle School and the Varsity Girl's Lacrosse Coach at Ridgefield High School. Prior to 2014, Cece served as Scarsdale's Varsity Girl's Lacrosse Coach and led the Raiders to four league championships in seven seasons. She was also named coach of the year in 2007 & 2008. Cece has coached both Field Hockey and Lacrosse since 1986. In 1998, she was the only Women Head coach of a boys lacrosse team in New York State. She has worked with the Byram Hills, White Plains and Scarsdale School Districts. Cece is also a certified Women’s Lacrosse Referee and was a coach of the US Lacrosse Hudson Valley U15 team for four consecutive years. In 2001, Cece started the Westchester Girls Lacrosse Club to provide opportunities for young women to in the Westchester, Putnam, and Southern Connecticut areas to compete nationally. Westchester Elite has been the premier women's lacrosse club since 2001. Westchester Elite provides summer, fall, winter, spring youth, and Elite tournament play for participants. Cece has a true love for the game of women's lacrosse and has helped dozens of her players play at the DI, DII, and DIII levels. When she is not teaching or coaching, Cece enjoys spending time at home with her husband and three sons. Racquel "Rocky", a former member of the Westchester Elite Lacrosse Club since its inception, graduated from Ithaca College in 2012 with a BA in Psychology and double minored in Coaching and Sport and Exercise Psychology. She played attack for the Ithaca Bombers for four years and was captain her senior year. She served as the President of the Student Athlete Advisory Committee at Ithaca College from 2011-2012 where she was an executive officer for the previous years. Rocky was also the head coach of the Ithaca College Club Women's Lacrosse team in the spring of 2013. She received a Masters of Science in Sport Management from SUNY Cortland in 2014. Rocky is the Varsity Girl's Lacrosse coach at Mamaroneck High School. During her first season as the varsity coach she led her team to a league championship and was voted Section 1 Conference 2 Coach of The Year. She also coaches Modified Field Hockey at Mamaroneck. Prior to her college career Rocky was the 2008 Female Athlete of the Year at Mamaroneck High School. She earned All Section and All League honors in lacrosse and field hockey all three years. She served as Captain for both Varsity Lacrosse and Field Hockey teams in addition to serving as Captain of the Empire State Women’s Ice Hockey team-Hudson Valley region where she played for four years. Rocky has been coaching for Westchester Elite for the past 9 years, as well as coaching several ice hockey and field hockey programs. Jess, a former member of the Westchester Elite Lacrosse Club since its inception graduated from Sacred Heart University in 2007 with a BS in History and a minor in political science. 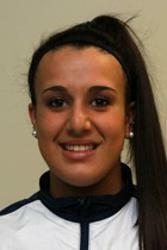 Jess was a starting defender for 4 years at Sacred Heart and was named captain her junior and senior year. During her junior year she led her team to the programs first ever 1st place spot in the NEC and was named to the NEC team. She was also the secretary of the Student Athlete Advisory Council her junior and senior year. Jess received her Masters of Arts in Social Studies Education as well as a Special Education Certification from Manhattanville College. She is currently working towards her applied behavior analysis certification. Prior to college she played field hockey and lacrosse at Mahopac High School and was a two-year Team Captain on the schools first ever lacrosse team. She was named All-League twice and a North County News All-Section first team pick. She also played varsity field hockey where she led her team to a NY State Championship. Jess has been coaching both Lacrosse and Field Hockey throughout Section 1 for the last 8 years. She is currently coaching JV field hockey at Mahopac High School and is headed into her third season as the Varsity Lacrosse Coach at Briarcliff High School. She was the former Varsity Assistant coach at Mahopac High School and has been a coach for the Hudson Valley National Team since 2013 . She also coached the 2014 Hudson Valley Empire State Girl's Lacrosse Team. Jess has a passion for coaching and is constantly coaching both youth and high school players in numerous sports. She has been coaching for Westchester Elite for several years and she currently works as a special education teacher in Darien. 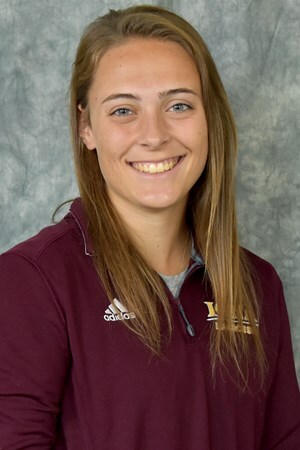 Kaitlin recently received her BA in Physical Education at Keene State College where she was a four-year starter as a midfielder/attacker on the women’s lacrosse team. She held the captain title for her last two seasons on the team where they won back-to-back Little East Conference Champion titles. While at Keene she received First Team All LEC in 2015, and 2016. Prior to Keene, she attended Mahopac High School where she played on the varsity lacrosse team for three years, holding a captain position her senior year. She has coached many youth teams and is the current Scarsdale High School Girls Lacrosse Assistant Coach. 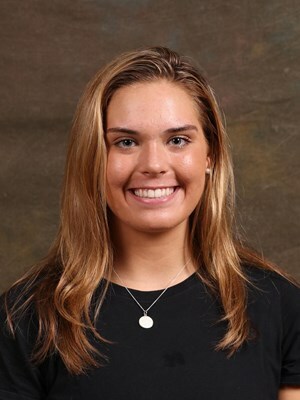 Lauren McAulay attended Yorktown High School, where she was the starting goalie for the Varsity Girls Lacrosse team for the duration of her high school career. She was named NY State MVP when Yorktown won the State Championship in 2006. She continued her education at Springfield College, where she was the starting goalie for the Pride all 4 years. She earned a Master’s Degree in Rehabilitation and Disability Studies with a minor in Psychology. After graduating from Springfield, Lauren became the Assistant Girls Lacrosse Coach at American International College for 2 seasons. Lauren returned to the Yorktown lacrosse program in 2014, serving as the Assistant Coach for the Varsity Girls Lacrosse team for 3 years. During her time as an assistant Yorktown won 2 Section titles, 2 Regional titles and had 2 NY State Championship appearances. 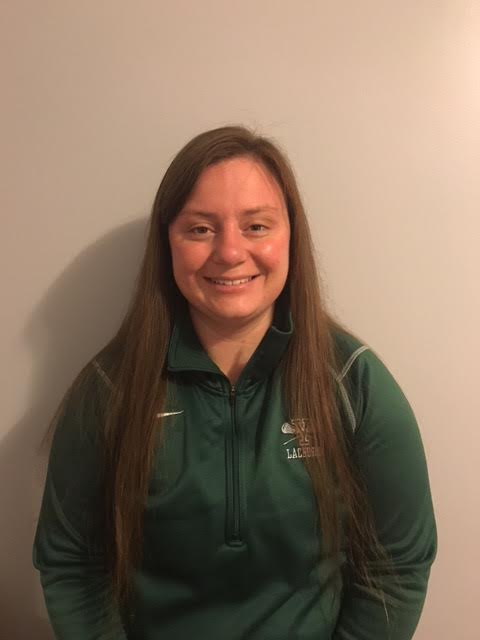 Lauren was named the head coach of the Yorktown program in 2017 and has since lead her team to win a League title and had a Section final appearance. Brendan is a 1982 graduate of SUNY Cortland where he received a Bachelor of Arts in Spanish. He earned an MA in Spanish Literature from Lehman College in 1998. He currently teaches Spanish at Lakeland High School in Shrub Oak, NY. He recently retired as the boys’ varsity lacrosse coach at Scarsdale, and coaches the girls’ tennis team at Lakeland. Brendan comes to Westchester Elite with over 30 years of coaching experience in both boys and girls lacrosse. Brendan has served as head coach of the boys programs at Trinity Preparatory School in Manhattan, North Salem High School and most recently Scarsdale High School, from which he just retired this past season. While at Scarsdale, Brendan was named Class B 1996 Coach of the Year by the Hudson Valley Lacrosse Coaches Association. As a competitive player, he has over 45 years of field experience. At Cortland he played on two consecutive NCAA Division III National Championship runner up teams and achieved All SUNYAC status as a senior. Brendan is the founder of the North Salem Youth Lacrosse Club for which he has coached boys and girls lacrosse for the past 16 years. He also coached the Girls Empire State Cup team during the summers of 2011-2014. Brendan is also the founder and president of Renegades Lacrosse Inc., a local program which helps to develop the skills of girls and boys of all ages by offering clinics, and private training. Under Brendan’s tutelage, players have gone on to play at such prestigious colleges as Duke, Syracuse, Hofstra, Cortland and Princeton. When Brendan is not teaching or coaching lacrosse, he can be found on the tennis court giving private lessons, or playing himself. He also enjoys playing the drums and piano. Most importantly, he cherishes the time he spends with his wife and three children. Caroline Curnal graduated from Ridgefield High School in 2018; where she played four years of lacrosse, volleyball and basketball, starting her final three seasons of lacrosse...led her team to a FCIAC Runner-Up in the 2017 season, and a State Championship Runner-Up finish in 2018…named a team captain in her senior season…two-time All-FCIAC First-Team selection in ‘17 & ‘18, was All-State First Team in ‘17, and named a US Lacrosse All-American her senior season. Curnal was the 2017 Connecticut Female Athlete of the Year… in her career at Ridgefield, she won 279 draws and added 121 career goals on top of 67 assists. Curnal now plays Division 1 lacrosse at Lafayette College as a starting midfield and draw specialist for the leopards.